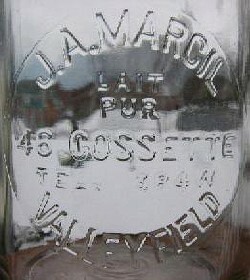 In 1944, the milk route of Mr. Joseph Albert Marcil was bought by the Montreal Cotton. Mr. Marcil had no child and he passed away at 91 years of age. Information from Denis Morin, collector.